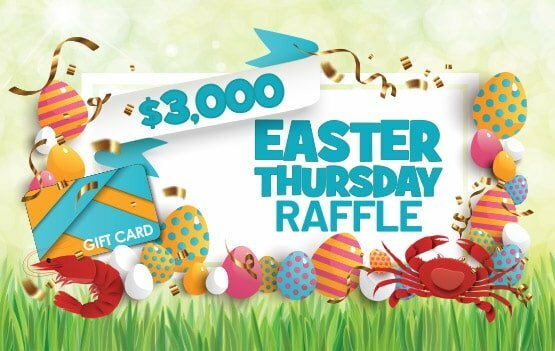 Join us on Thursday 18th April where we will be giving away $3,000 worth of Easter goodies! Have an EGG-STRA special Easter with your favourite SEAFOOD trays, LARGE chocolate hampers, beverage packs and $500 in giftcards. $1 = 10 numbers / Members spend $10 or more and we’ll DOUBLE your tickets! / Pay by Plus Points and we will TRIPLE your tickets!